Body toning is very fundamental for the well being of an individual. Many people usually admire possessing the body with strength and agility that is featured with lots of muscular bumps especially the arms. Apart from having the most admirable strength perhaps for your safety, body toning is also very essential for your health. It cuts the fats preventing the body from getting many diseases. In the US, around 20.8% of the population engage in body toning by through weight lifting. Likewise, in the UK, 24% of the adult population take part in weight lifting for the same purpose. 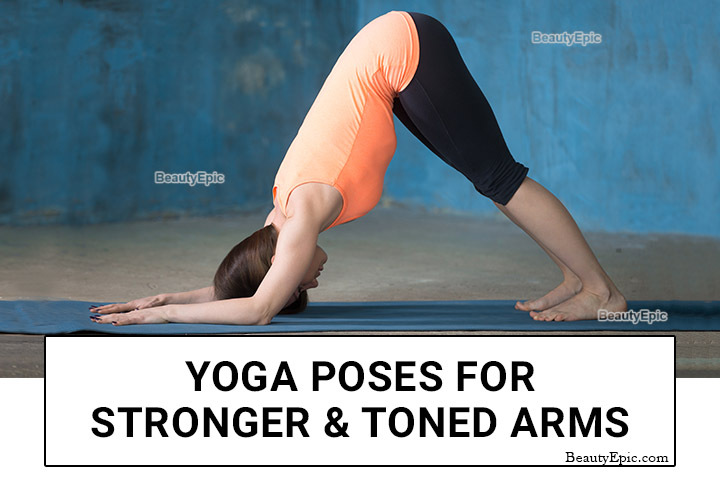 However, yoga is easier and less involving when it comes to toning your arms. With yoga, you will get your arms toned without having to tire through lifting heavy blocks. 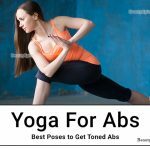 This article informs you of the best 7 yoga poses to tone your arms in the easiest way possible. 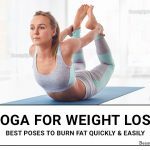 It is an all body toning yoga pose for shaping your muscles and tightening them. Get on a level surface with your fours. Spread your feet and arms slightly apart with the head in between your arms. Straighten the legs and push the hips up. Walk both feet towards the head until the hips are raised to the higher point possible. How it benefits: It tightens the arms muscles, therefore, toning them. Chaturanga danadasana is a four-limbed yoga pose for strengthening the arms, legs and the chest muscles that requires the body to be parallel to the supporting surface. It is a commonly known push up exercise. Lie flat on a level surface with the belly facing downwards. Spread your arms and let the chest lie in between them with the lower arms positioned at right angles with the elbows. Lift your body to acquire the height of the lower arm by ending the tiptoes and palms. It strengthens the shoulders and arms. It boosts the of flow blood in the body. It is a stylistic downward facing yoga pose that involves various variations. Get on your fours with legs straight and the forearms on the floor. Ensure the shoulders are directly above the elbows. Move your legs inwards to the head until the hips are raised to a maximum point possible ensuring you walk us in the tiptoes. Inhale and hold your breath for some seconds before falling back. Benefits: It stretches the biceps and triceps making the arms flexible. 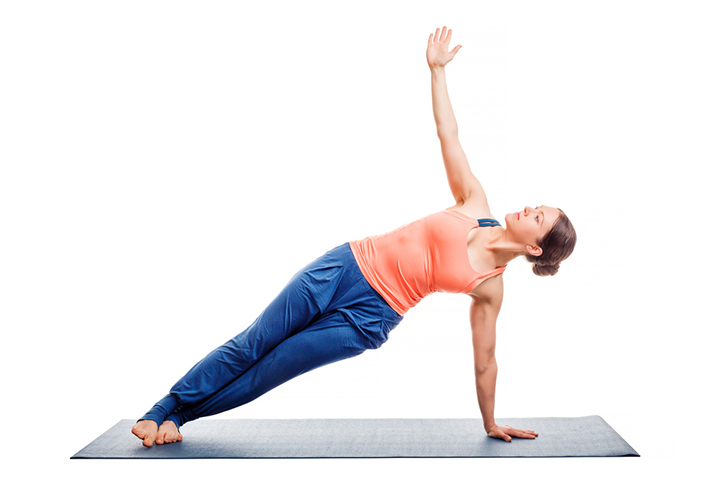 Vasisthasana is a challenging side plank pose for building balance and strength. Place your body in a plank position and move the right arm exactly to the center of the chest. With the palm down, lift both the left arm and foot from the ground and rotate the body slowly to receive support from the right foot and right arm. Ensure the left foot lies on the right foot. Straighten the supporting arm until the upper body attains the highest level. Tones the inner muscles of both arms and legs. It is a powerful back-bending pose for stretching the spine. Lie flat on the floor with the chest facing downwards. Place the palms firmly on the surface and spread them slightly wider than the chest width. Move the legs closer, inhale deeply and start pushing the chest upwards and hips downwards. Benefits: It awakens the inner strength of the arms and the upper strength of the body. Mayurasana is a hand-balancing yoga pose that requires the yogi to assume the peacock style. Get on your fours with the palms supporting the upper body and tiptoes supporting the lower body. Join the legs and move the palms at the center of the belly. Left the legs off the ground and engage the arms fully to balance the body. It speeds up the detoxification process in the body. It’s an arm balancing yoga pause that requires an individual to take the shape of a crow. Begin by squatting down with your feet slightly wide than the body width and stop when the hips are about to touch the floor. Place your palms on the floor and start frightening the legs backwards with head moving in between the knees until the body gets lifted. You can let the knees lie on the back of the upper arm in order to gain stability. It gives the whole body strength. It energizes the arms and shoulders. 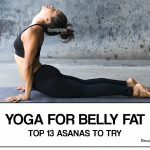 To sum up, it is without a doubt that yoga poses can effectively benefit those people willing to tone their arms without going through weight lifting which will definitely increase the number of people doing exercises thereby benefiting them health wise.